Rum, lime, and sugar. Shaken over ice. Served in a coupe glass. These are the makings of a traditional daiquiri. While the gallon-sized sugary slushies served “to-go” from local shops are also known as “daiquiris”, and play their own role in local culture, they stand apart from the daiquiri cocktail. 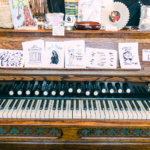 I recently sat down with Liz Williams, co-author of Lift Your Spirits: A Celebratory History of Cocktail Culture in New Orleans, and founder, president, and director of the Southern Food & Beverage Museum (which also houses The Museum of the American Cocktail), to discuss the origin and evolution of the daiquiri. She led me on a figurative journey to Cuba and back. Fourteen miles east of Santiago de Cuba lies the small village of Daiquirí. While it figured in the the United States invasion of Cuba during the Spanish–American War in 1898, the cocktail that bears its name is substantially more widely known today. During the war, American mining engineers stationed in the area began drinking a mixture of lime, rum, sugar, and soda water. Like many origin stories, however, the exact details are unclear. The big question, Williams poses, is “Who put this drink together?” Was this a concoction that the engineers created, or did someone else—possibly a local servant—mix this drink and serve it to them? “This is a social invention,” she says of the daiquiri, and because of that it is practically impossible to know the single point at which it was invented or by whom. Similarly, we cannot be sure whether the engineers initially dubbed the drink “the daiquiri” or simply referred to it as “what we drank in Daiquirí,” says Williams. Regardless, it ultimately became known as the daiquiri. El Floridita, an American-style bar in Havana that frequently hosted a parched Ernest Hemingway during Prohibition, also provided a forum for Constantino Ribalaigua Vert, known as “The Cocktail King of Cuba,” to invent over 200 drinks and to modify many others, including the daiquiri. 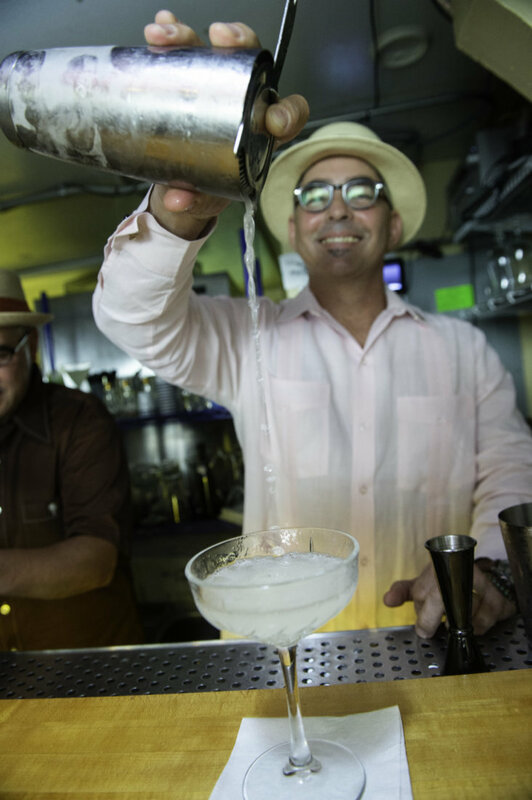 Ribalaigua was the first to add chipped ice, and he mixed four different modifications of the daiquiri. He even created one for Hemingway called Papa Doble—with twice the rum, and grapefruit juice, maraschino liqueur, and fresh lime juice. 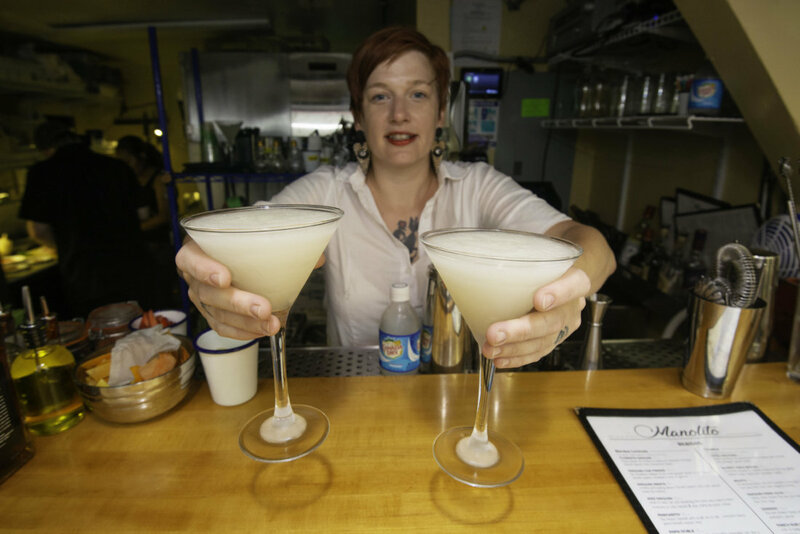 With well over 100 years of history, local bartenders treat the traditional daiquiri both with reverence and as a stepping stone for creativity. Set a date to taste test both classic and more experimental daiquiris at one of these local bars and develop an appreciation for the crafting of this cocktail. One of the pioneers of the Freret Street renaissance, the aptly-named Cure stands out for both its traditional and experimental craft cocktails. The Dune Buggy, a “riff on the classic daiquiri,” is made with Smith & Cross Rum and Bonal, an herbal and bittersweet fortified wine, as the base, along with Bitter Queens Chinese 5 Spice Bitters, lime, and cinnamon syrup in place of sugar. The postage stamp-sized Manolito opened in 2018 in El Libre‘s former French Quarter location. Run by two respected local bartenders, Chris Hannah and Nick Detrich (who, side note, can boast Manuel Carbajo Aguiar—a veteran bartender of Havana’s Floridita—as a mentor), Manolito’s cocktail menu has a healthy offering of daiquiris. As Detrich details, “Our daiquiris follow the tradition set forth in Havana by Constante Ribailagua after the invention of the blender. We use the same blending techniques that are still practiced today in Havana, and also layer textures to incorporate a pleasing sensation to a delicious drink.” The Daiquiri Menta (Bacardi Superior, lime, mint, and crème de menthe) and the Jazz Daiquiri (Bacardi 8 Year, creme de cacao, and coffee), while less traditional than the Daiquiri para Julio, are two of the most popular on the menu. 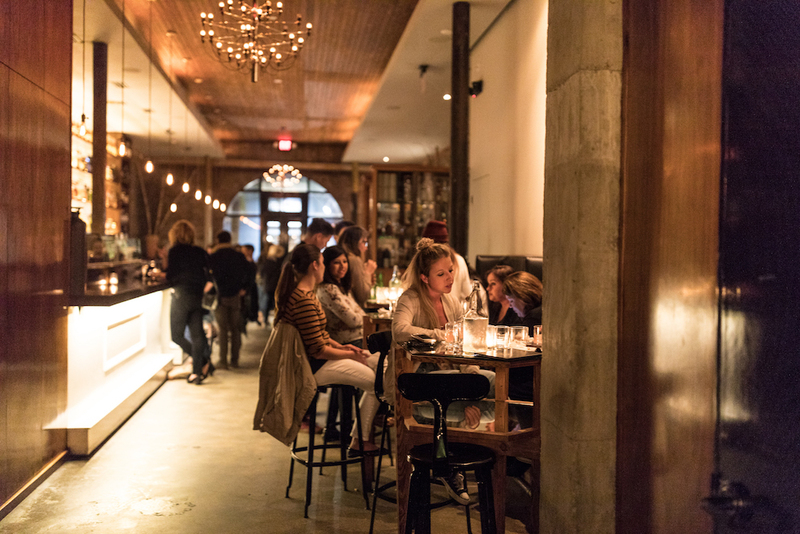 The Mayhaw is the in-house bar for both the St. Roch and Auction House Markets. 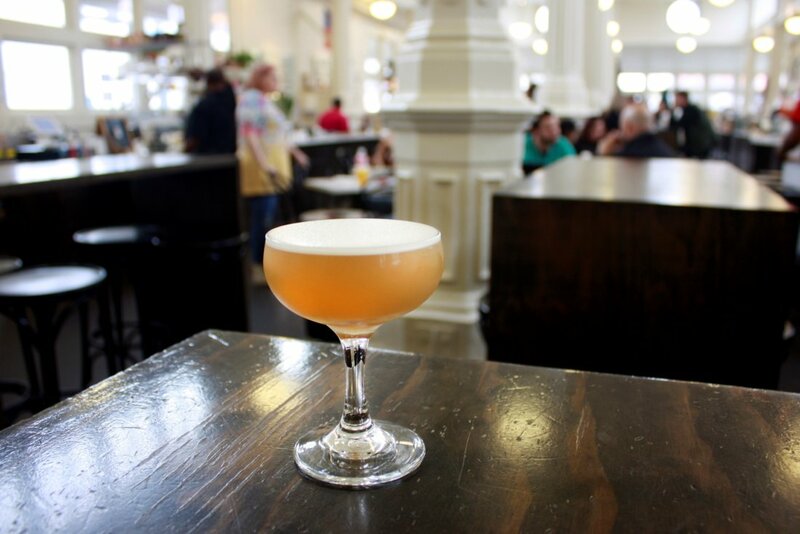 Both locations offer the traditional daiquiri, with rum, lime, and sugar, on their happy hour menus (Auction House Market calls it the “Classic Daiquiri” while St. Roch Market dubs it the “True Daiquiri”). The Mayhaw’s St. Roch spot also boasts the Pon de Replay, a fusion of the daiquiri and the pisco sour. Mayhaw’s house barrel of Mount Gay rum adds a note of banana to the drink, which also includes real banana, lime, raw sugar, allspice, and aguafaba. The NOPSI Hotel was previously the headquarters for the city’s gas, electric, and transportation provider, New Orleans Public Service Inc. Today, the hotel contains two bars. underCURRENT, the lobby bar, offers up the classic daiquiri. Above the Grid, the rooftop bar, puts forward its take on a banana daiquiri, with Cachaca, a fermented spirit made from sugar cane, ginger, lime, banana, and coconut whip. Chris McMillian is the creative mind behind the cocktail list at Revel. Imbibe Magazine called McMillian, a fourth generation bartender, one of the top 25 “most influential cocktail personalities of the last century.” He is also a cocktail historian, co-founder of The Museum of the American Cocktail, and co-author, along with Liz Williams, of Lift Your Spirits: A Celebratory History of Cocktail Culture in New Orleans. If you are in search of a classic daiquiri, look no further than Revel—and perhaps you will be lucky enough to have a celebrated bartender mix your drink. Trèo is another creative cocktail space, known for its multitude of events—from Harry Potter trivia to Death Cafe. Helping to revive a long neglected area of Tulane Avenue, it is also helping to carry forward the classic daiquiri tradition. Among its list of classic cocktails is the daiquiri: rum, lime, and sugar. Victory is the namesake of local bartender Daniel Victory, who made the top five of GQ/Bombay Sapphires’ “Most Inspired Bartender” contest. Sometimes the word “daiquiri” is in a drink’s name, though it does not necessarily mean that a daiquiri is on offer. Other times, the word might be left out of a drink’s name altogether, despite the fact that it is indeed a daiquiri for all intents and purposes. The “Beetin’ The Lime” is just such a case. Made with dark rum, a beet reduction, brown sugar, and lime, this cocktail provides a moderate and unique twist on the classic daiquiri. One would not necessarily expect to find a daiquiri at a barbecue restaurant. 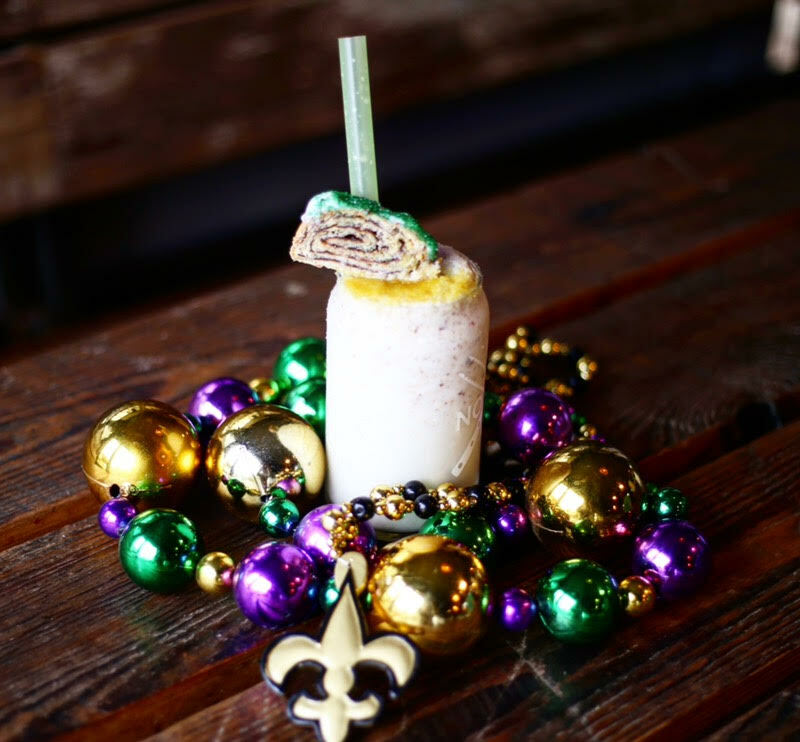 In honor of Carnival season, however, Blue Oak BBQ has mixed up what they call a King Cake Daiquiri. Shake-like in consistency, it is make with blended king cake and garnished with a thin slice of King Cake to top it all off.